Genius is not too strong a word for this much loved inventor of the pocket cartoon. 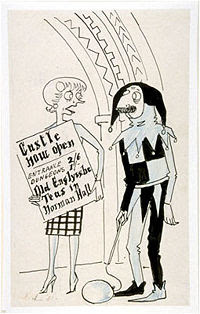 Sir Osbert also produced theatre designs and elaborate satires on architecture and social life. Far from looking dated his wit will enchant new generations. The accompanying illustrated book by James Knox is scintillating.